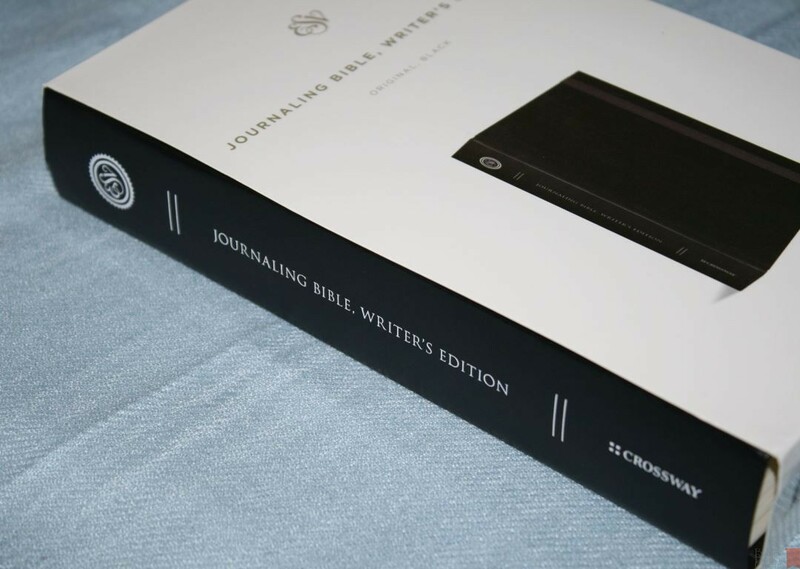 Crossway’s ESV Journaling Bible, Writer’s Edition, is different from most journal Bibles. Most place the text in either a double or single column with a large outer margin for notes and artwork. They usually have close to a square shape. Keeping a slim width while presenting a double-column layout, the Writer’s Edition places the writing space at the bottom of the page. 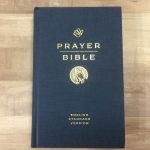 In this review I take a look at the hardcover edition in black, ISBN: 9781433552809, which Crossway provided for free. 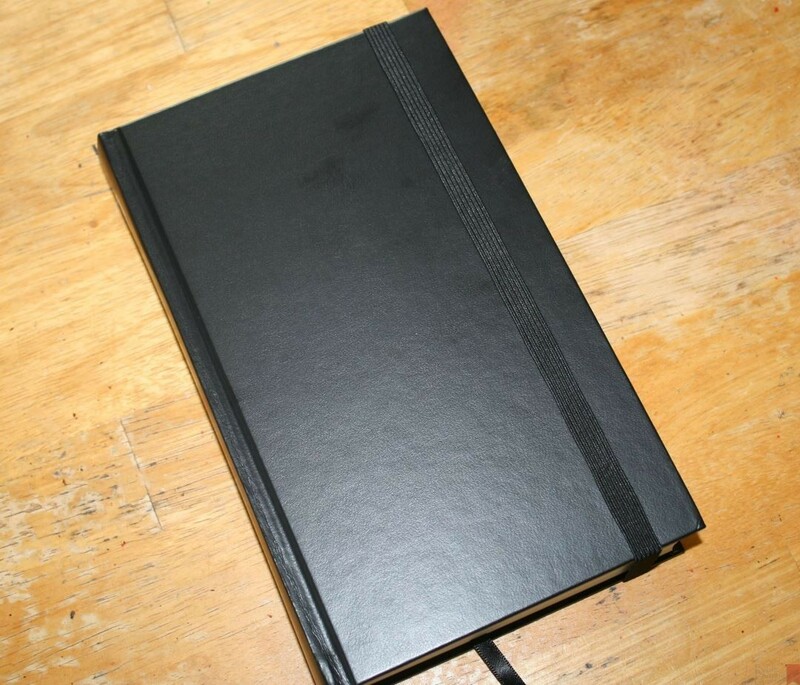 My review copy has a black hardcover with elastic strap. The cover has just a little bit of texture. Nothing is printed on the front or back. 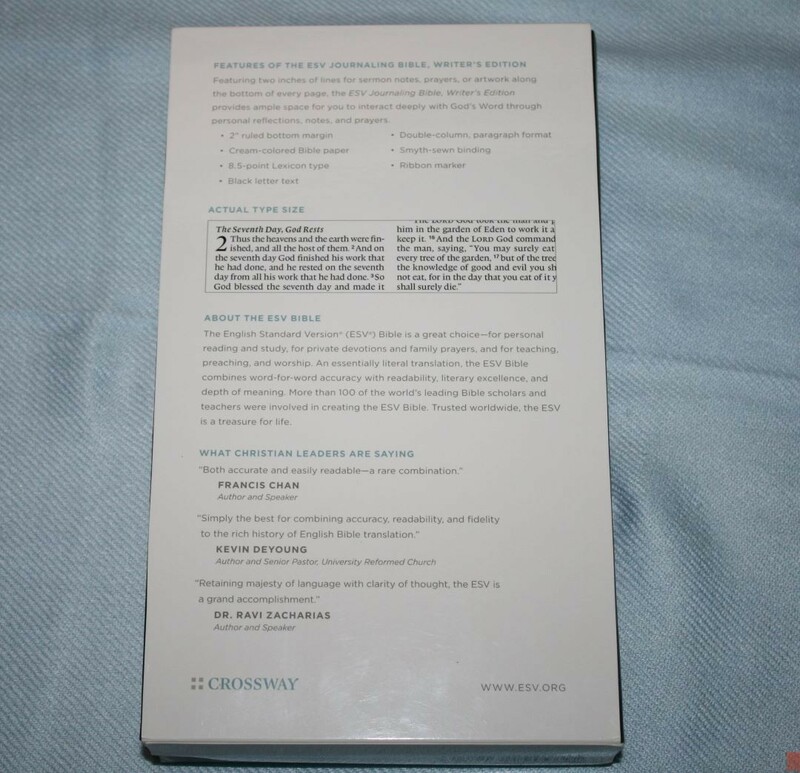 The spine has ESV, JOURNAL BIBLE, WRITER’S EDITION, the Crossway logo, and a few separator marks all printed in white. The liner is cream paper and has an area to write your name. 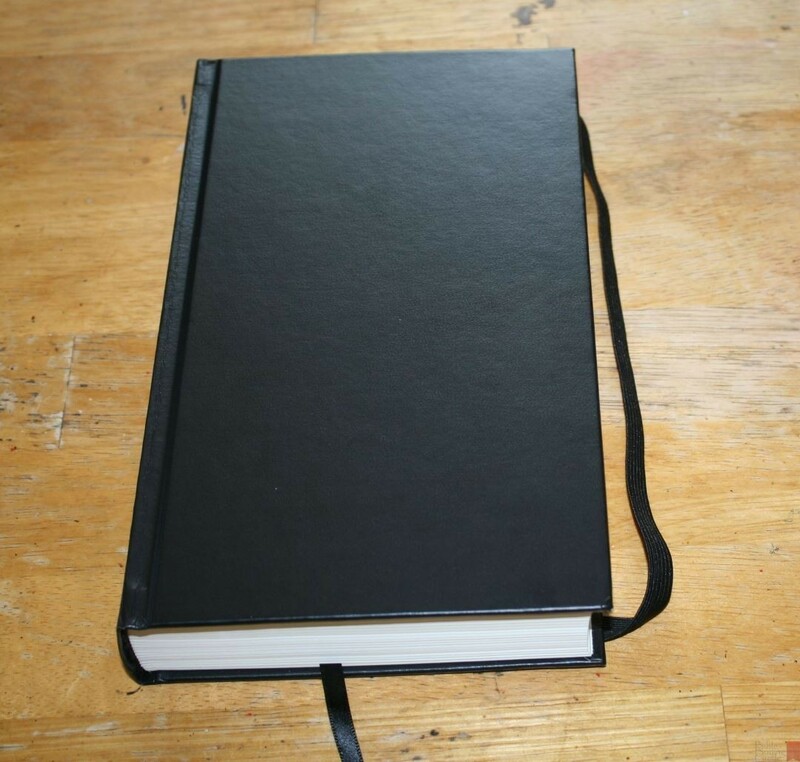 It’s sewn and has no issues staying open to the first page. 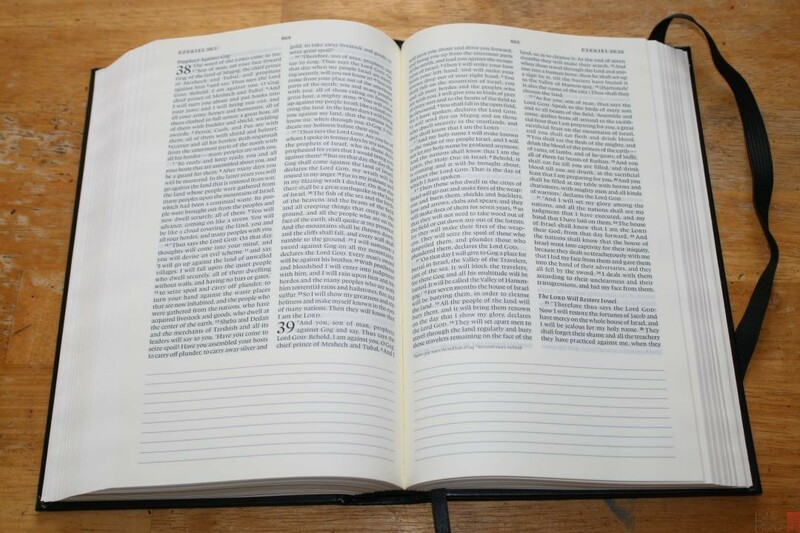 At 9.1 x 5.5 x 1.5″, it’s smaller than most journaling Bibles. This makes it a great choice for carry or to hold for reading. It includes a single black ribbon. The paper has a cream color. It’s a little darker than I like but it’s not as yellow as most journal editions. 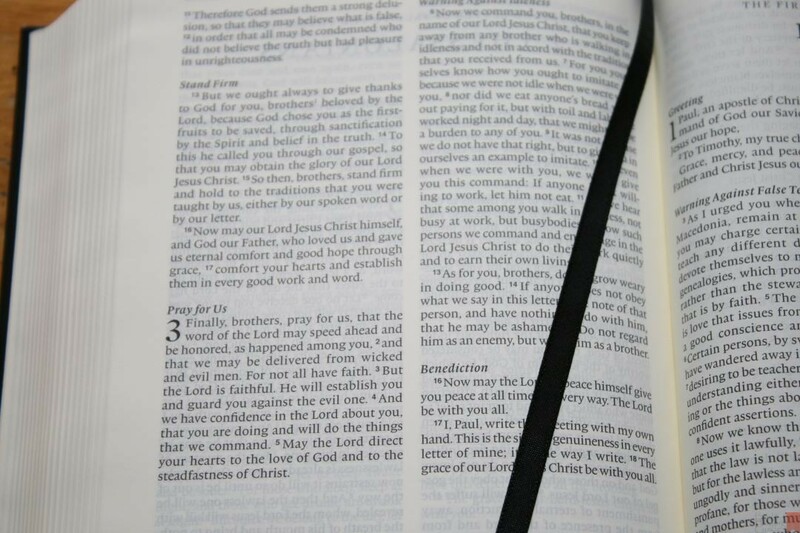 To my fingers it feels like upper 30’s in gsm, but the paper doesn’t seem as thick or as opaque as most journal Bibles. It is thick enough for my notes. The show-through is more noticeable than I would like in the poetic settings, but isn’t that noticeable anywhere else. The text is presented in double column paragraph with Poetry set to stanzas. 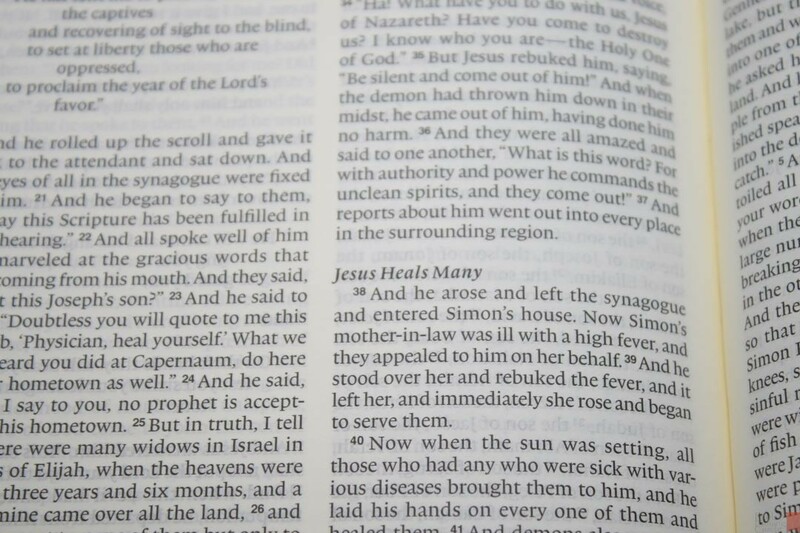 Letters, such as those found in Ezra, are not indented or set apart. Section headings are in italics. 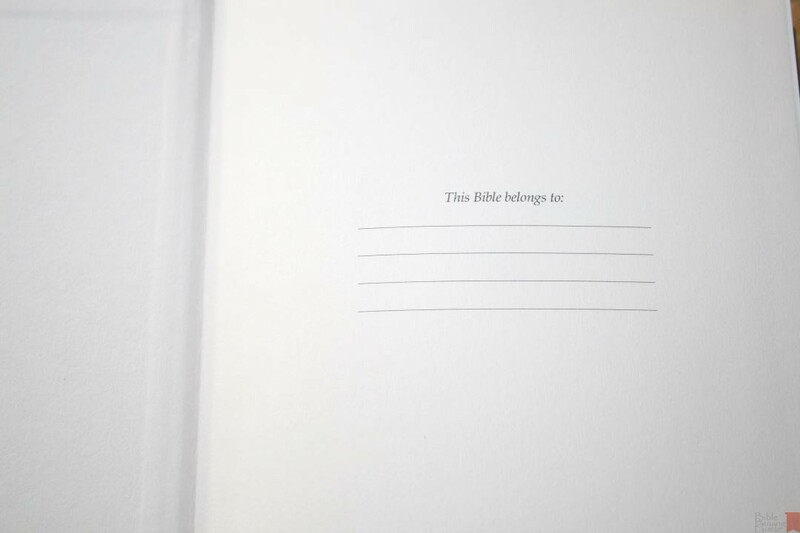 The header has the page number in the center and the book name and chapter in the outer margin. 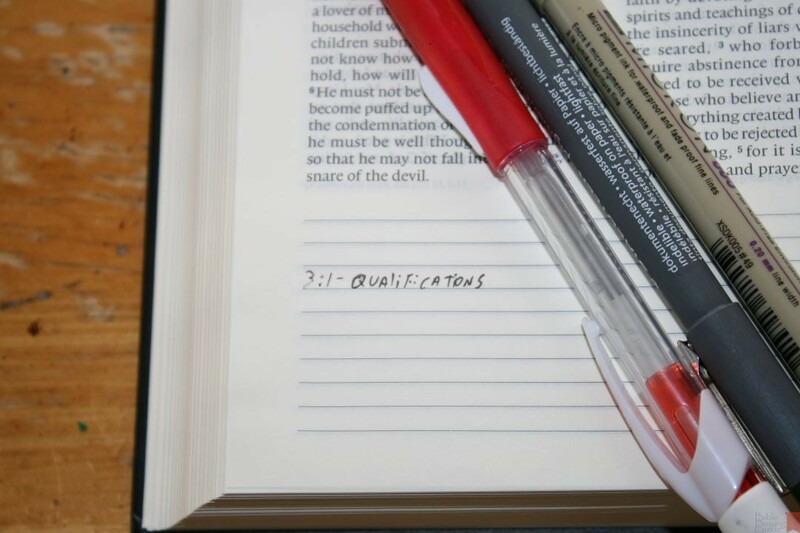 Rather than placing the writable area in the outer margins, the 2″ ruled writing space is placed at the bottom of the page. 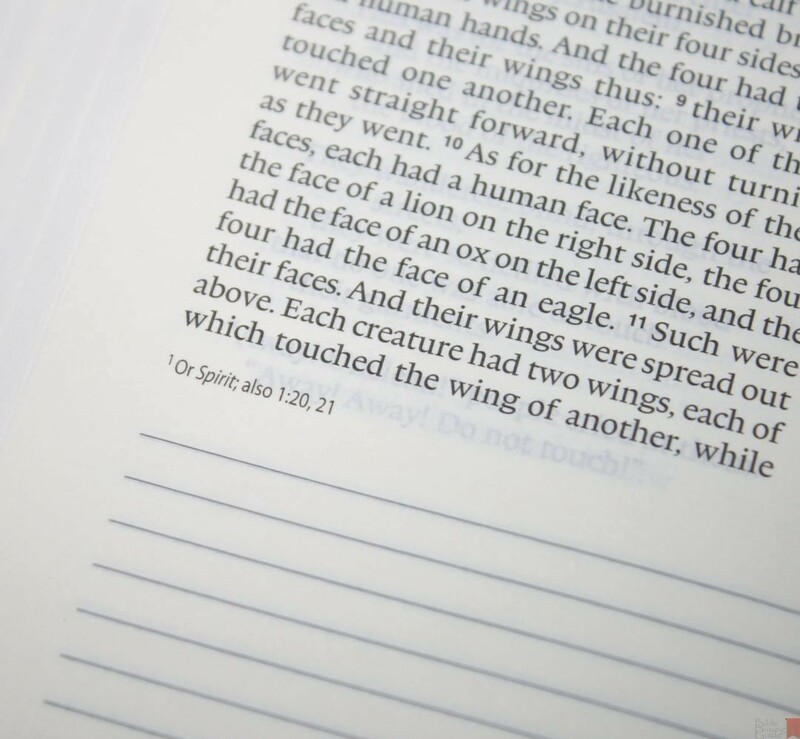 This means there’s less space per verse for writing when compared to the traditional layout, but it also makes for a Bible that’s less wide and easier to handle. I find it easy to write in the space at the bottom of the page. 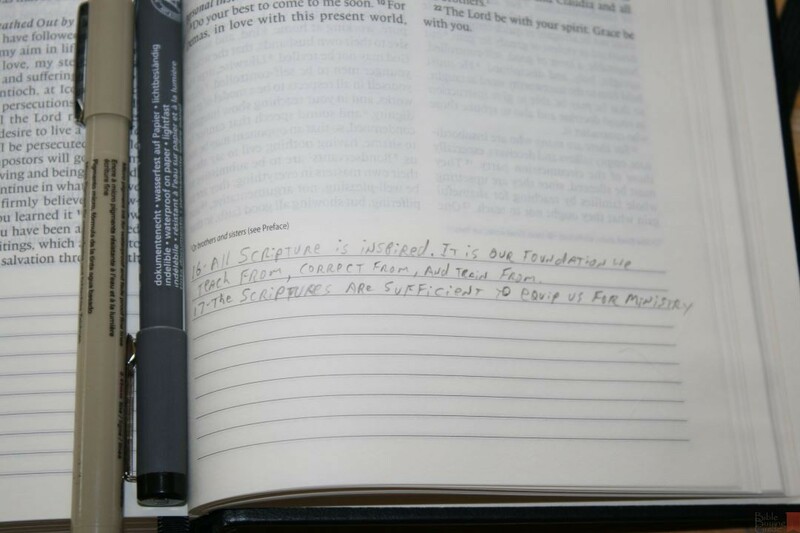 The only problems I see are you can’t place your notes next to the verses they correspond to and there might not be enough space for serious note takers or art journalers. The note space at the bottom does open up some possibilities with horizontal artwork that might not be possible any other way. 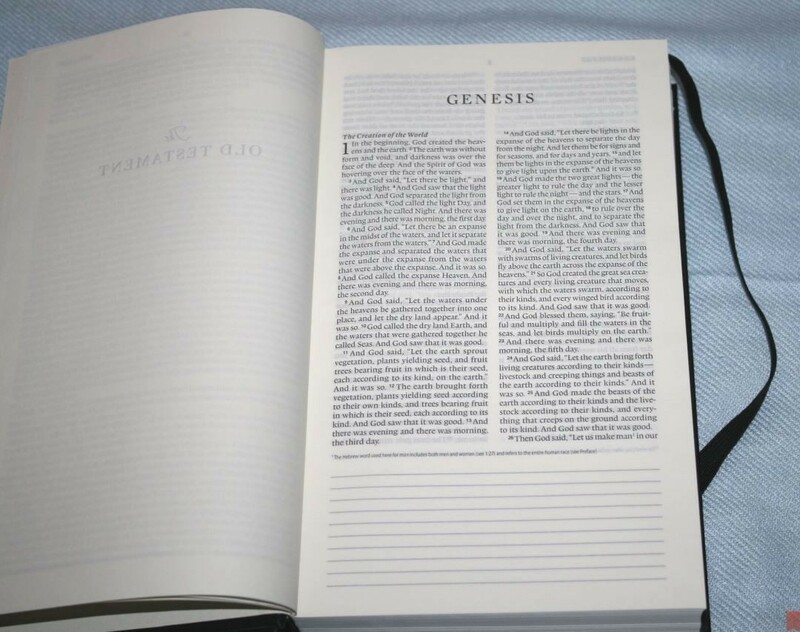 It would be a great fit for anyone wanting a little note space without having to carry a larger Bible. The font is around 7.5 point Lexicon with 8.5 leading. It’s black letter and is dark and consistent throughout. It’s mostly line-matched but there are a few pages here and there where the lines don’t match up. Even then these pages are still highly readable. 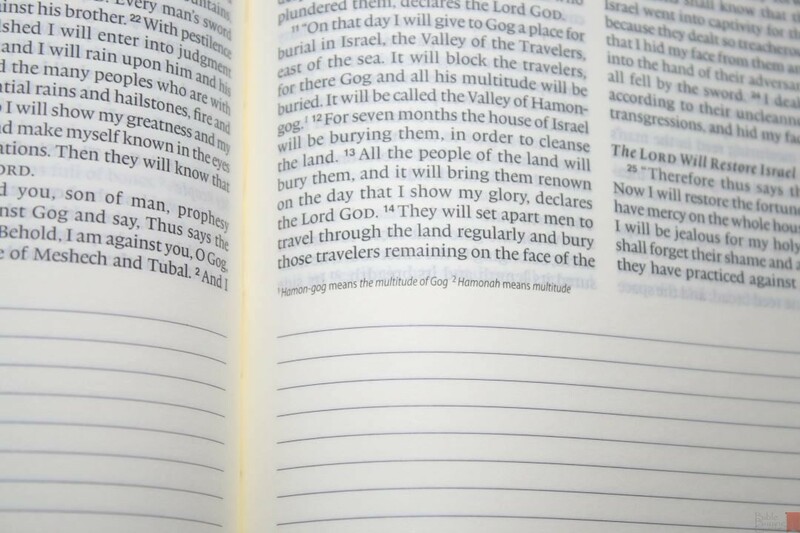 The verse numbers are a touch darker than the text, making them fairly easy to find when scanning the page. It has around 44 characters per line with around 8 words per line. 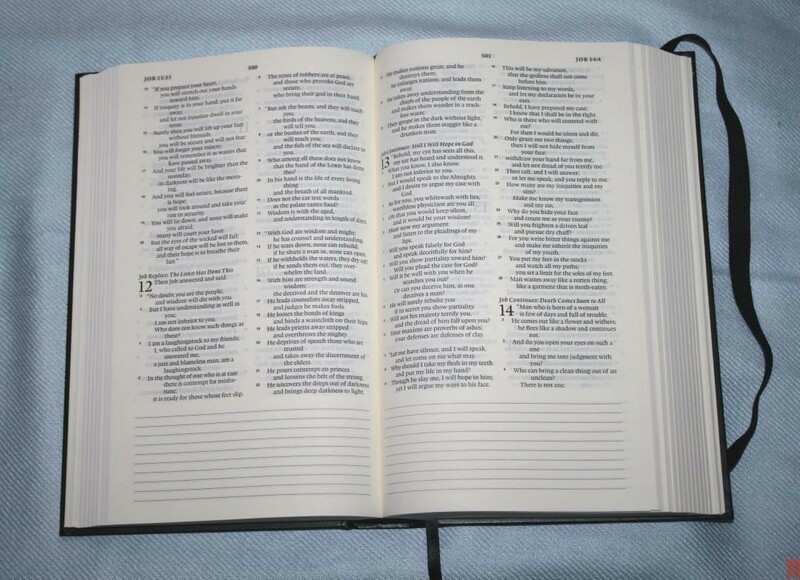 It has 48 lines per page. The text doesn’t feel crowded or cramped. There’s enough room in the inner margin to keep the text out of the bend. Translation footnotes are placed under the text. 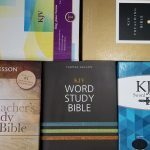 They include notes on Greek and Hebrew words, explanations, names that have special meaning, alternate renderings, types of leprosy, and manuscript variations. The footnotes are keyed to the text with numbers, but there aren’t that many of them to distract from reading. The keys are small and easy to ignore if you want. 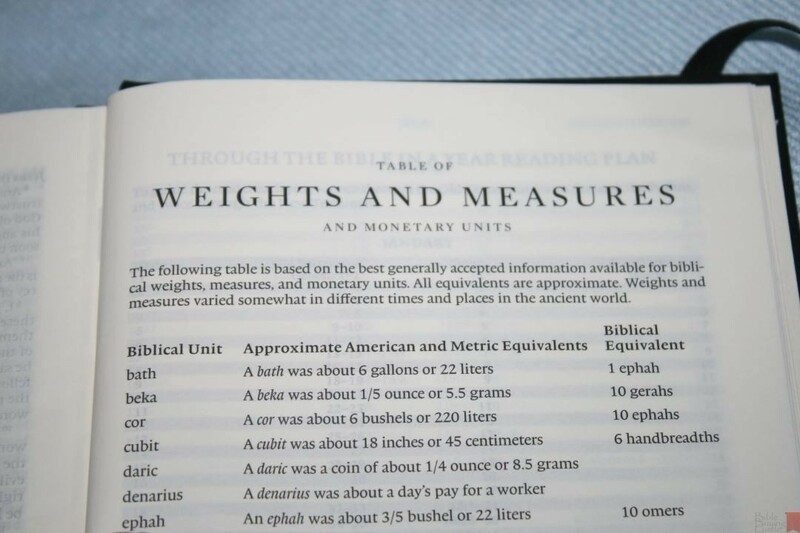 The Table of Weights and Measures is a one-page table that shows the biblical unit, approximate American and metric equivalents, and biblical equivalent. It also includes money and provides 23 entries. It’s short but usable. 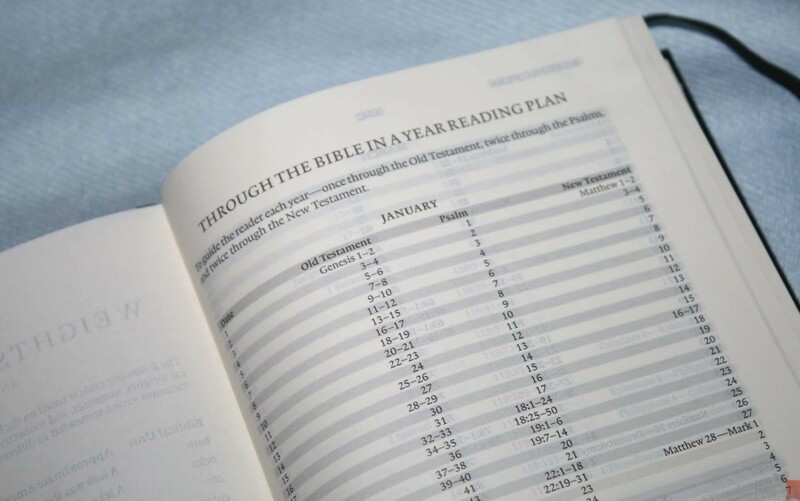 The reading plan takes you through the Bible in one year, taking you through the OT once and Psalms and the NT twice. 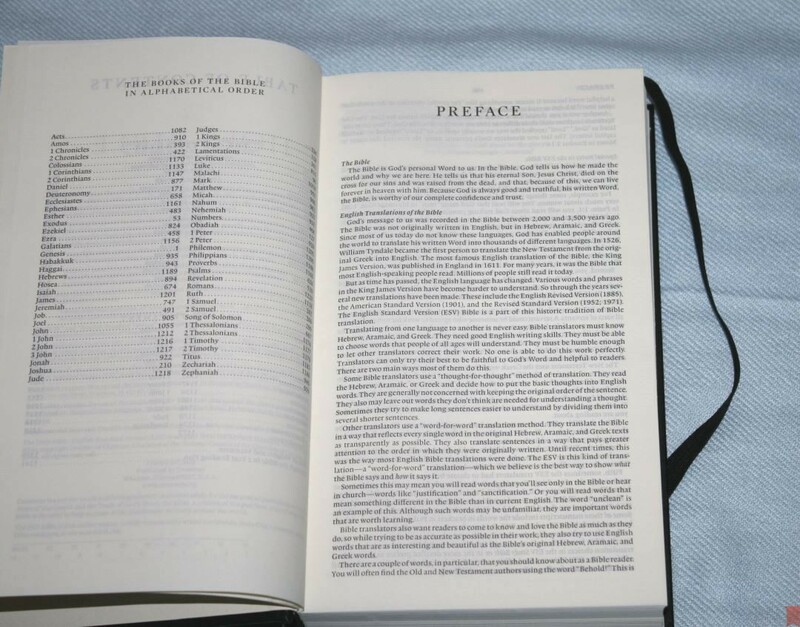 It gives three readings per day – one each from the Old Testament, Psalms, and the New Testament. It’s printed like a chart with a darker background for every other line, making it easier to see which line goes with which day. Each line is marked with the date and the lines are separated by the month. I’ve used this reading plan several times. It’s one of my favorites and it’s presented well in this edition. I’ve written in both pencil and pen. Here are a couple of examples. I added the verse number to show what verse the note goes with. Another option would be to write a word, reference key, etc. This space is also good for short lists, definitions, dates, references for further reading or study, etc. 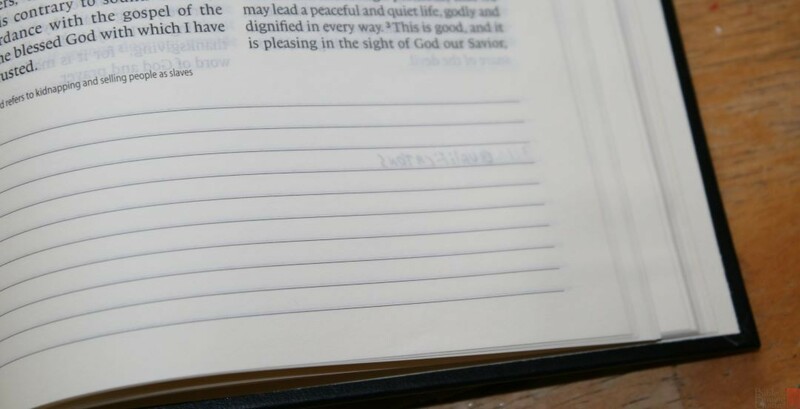 I haven’t had any issues writing at the bottom of the page, although sometimes it was more comfortable if I placed a book with the same height so I could lay my hand on something while writing. The pencil is a .05 mechanical. It doesn’t seem to make impressions into the paper. There is a touch of show-through on the back of the page, but that’s expected. I like pencil a lot because I can erase if needed (and with my hand-writing it’s needed). For writing with pen, I started this with a black 005 Pigma Micron. It took a minute to get it to write and after writing the verse number I stopped and went with a Steadtler Pigma Liner .05. Ink does have more show-through, but it’s also darker than the pencil and a better choice if you have good hand-writing. 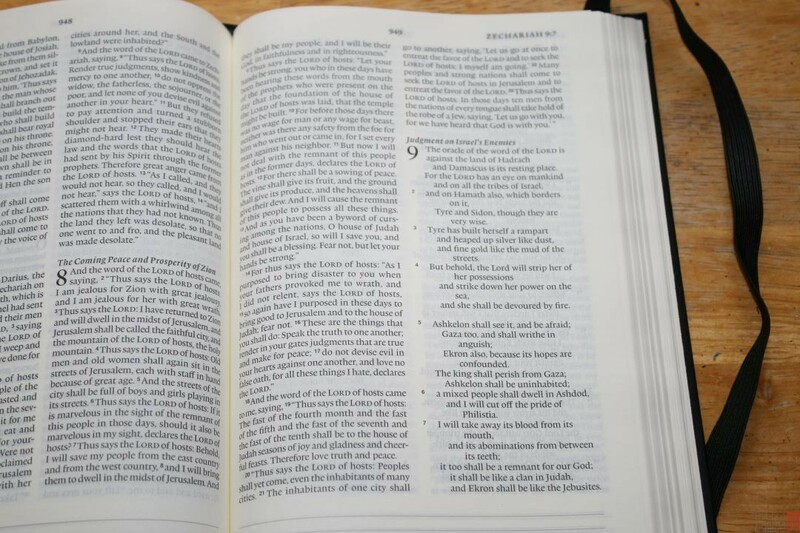 Crossway’s ESV Journaling Bible, Writer’s Edition, is an interesting design. 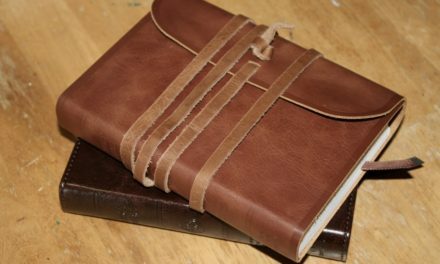 I don’t think it will take the place of the traditional design (I don’t think it would benefit those who do a lot of heavy journaling, note-taking, or artwork), but it would be great for anyone that just wants a little bit of writing space and still keep the Bible fairly small. It’s printed well. The font is easy to read (if you can read the smaller size), and the text is clear of distractions. 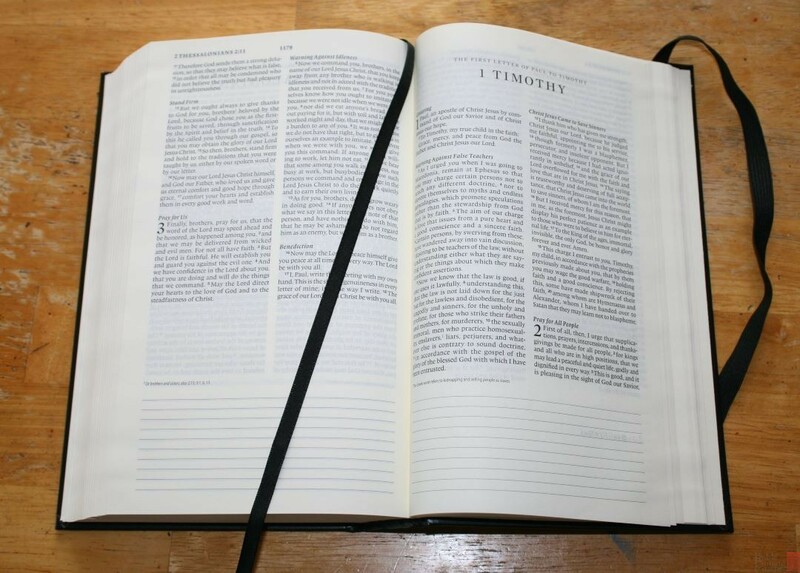 The paper has a heavy cream color but not as yellow as many other journal Bibles that I’ve seen. This shape also lends itself well to narrow pulpits. 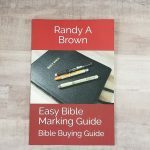 It’s an easy Bible to carry and use on the go. 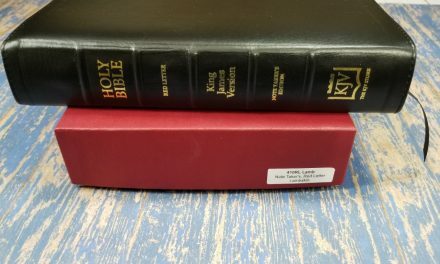 I recommend it to anyone looking for an ESV with note space while keeping the Bible at a manageable size.